I have a big sweet tooth. There I said it. If I could, I would eat sweet stuff all day, every day, except for the fact that refined sugar is terrible for the body, has no nutritional value, and always makes me feel sluggish after. But that doesn't mean I give up my sweets all together! 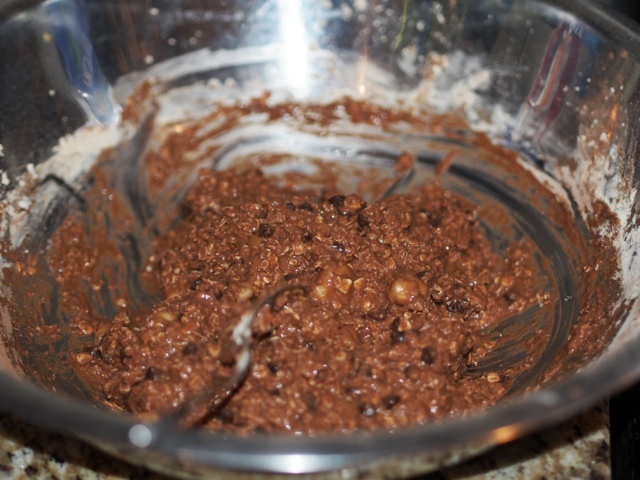 In fact, I've concocted my best recipe yet and you chocolate lovers will thank me for it. It's that good! Mix wet ingredients together. Do the same with the dry, and then combine. 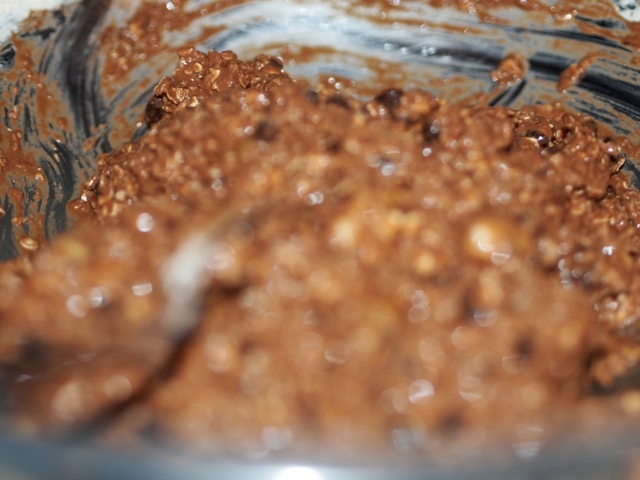 You will get a sticky gooey consistency...If you fien the mixture is still too dry, add a bit of water, or almond milk. Scoop Onto baking sheet. and Place in the over at 350F for 15 minutes. Once they're out of the oven, try to let them cool before devouring. I dare you! OH SO YUMMY. I'm usually not a fan of coconuts but these look yummy. I am addicted to refined sugar (tsk, tsk!) 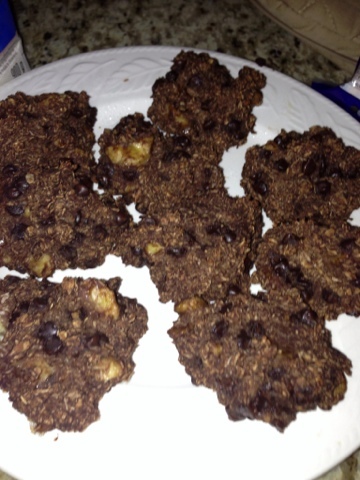 Mmm I may have to try a modified version of these cookies, sans coconut (which is one of my least favourite things!) We missed you last Sun, hopefully I will see you soon! yum yum! Cookies that are good for you? Heck yes! Plus I need a bit more protein in my life, I rarely eat any meat - I stick to greens mostly! I like the double chocolate part, and the sneaky fruit added in. It would be a good recipe for parents too!